Some colors have such a vivid history they seem to have a return address stamped on them. Neon pink: If found, please return to 1987. Avocado green and goldenrod: If found, please return to 1974. Nowhere is this more true than in the home. As much as I can respect the standard modern palette of cream, beige, and taupe (not exciting, but not offending), I long for the quaint, nostalgic look of colors that we do not see anymore. Watch Mr. Blandings Builds His Dream House and you’ll see what I mean. Myrna Loy requests a soft, light yellow in her new kitchen. Now, I don’t really like yellow, but if I imagine those old ads for kitchen appliances featuring sparkling “modern” kitchen… soft-yellow walls, crisp-white, appliances, touches of cherry red and mint green – I get it! So, this post is dedicated to the recent lot of fabulously vintage home accessories. And, blue and green are definitely striking the chord for 30s, 40s, and 50s style. 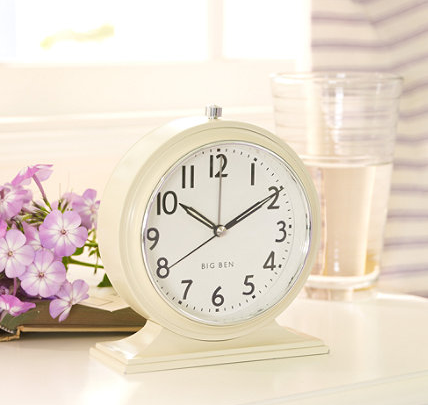 How could you not be inspired to live a life with vintage flair when you wake up to this alarm clock from L.L.Bean? It’s a real, honest-to-original-manufacturer reproduction of the Big Ben alarm clocks that were available in 1931. Big Ben alarm clocks are an icon unto themselves. 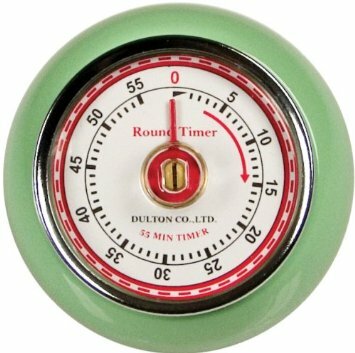 These clocks have been produced for many decades with periodic, but slight, changes to the design or colors offered. The streamlined feel for the one offered in 1931 is particularly outstanding. Even the numerals have an understated Art Deco look. 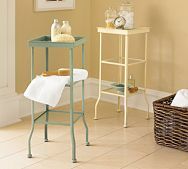 And, the entire palette of colors, including a soft blue and vintage green is spot on for the 1930s and 1940s. I’m going to say it. Turquoise. It’s not just for jewelry or nail polish. What 50s kitchen would be complete without a healthy dose of turquoise? 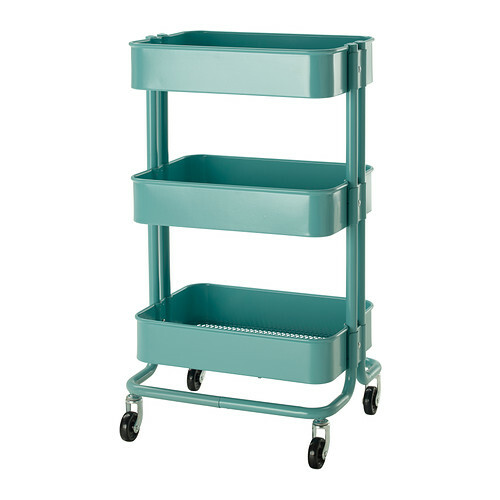 Aside from the beautiful color, this cart from IKEA has rounded corners and rotating casters like we haven’t seen since industrial designers stopped trying to balance form and function and simply outsourced their entire craft to China. So, that’s what I’ve been inspired by lately. There’s definitely more out there. If you find something divine and vintage-ly inspiring please leave a comment on our blog. We love a good discussion. In the meantime, go forth. Let’s buy these adorable and vintage-inspired items. Let’s vote with our dollar and tell companies that some of us still do care about style. P.S. If the idea of decorating your home with a “color-by-decade” motif intrigues you, check out Sherwin-Williams historic color collections for interior and exterior paints.